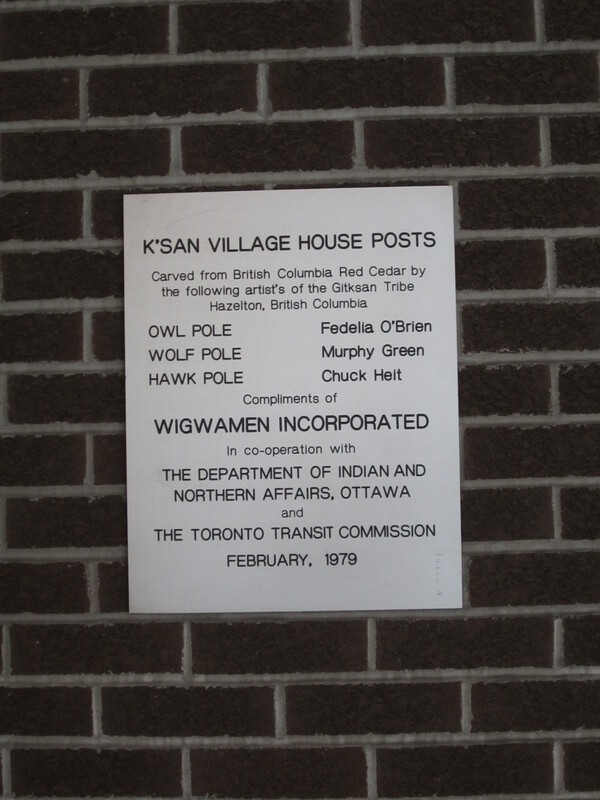 These house posts were commissioned by the Wigwamen Housing Corporation to commemorate the building of Wigwamen Terrace at 14 Spadina Road in 1979, and were donated to the Toronto Transit Commission. The Gitksan artists, who are known for their skilled carvings, are from Hazelton, British Columbia. 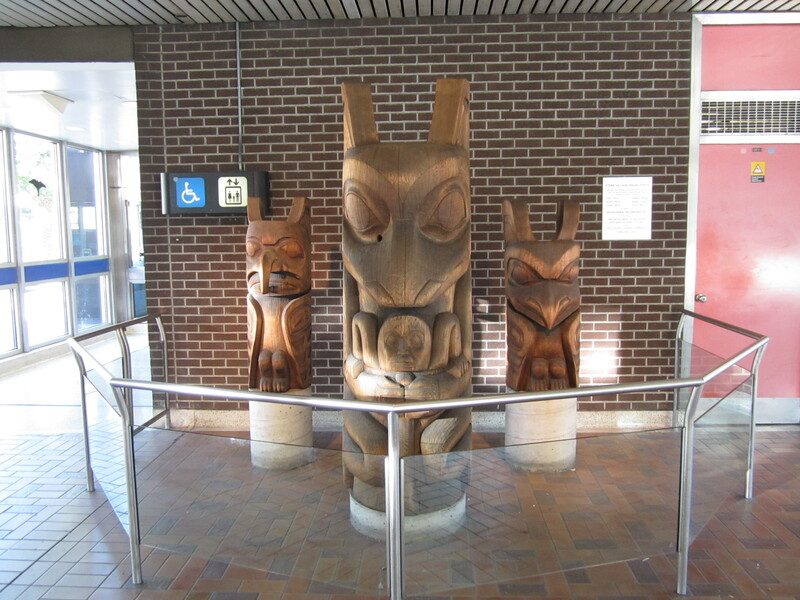 Carved out of red cedar, these traditional housing supports depict an owl, wolf and a hawk. The owl was carved by Fedelia O’Brien, the wolf by Murphy Green, and the hawk by Chuck Heit. “Art In The Subway.” Wigwam to Wigwam February 2003: 1. Print.